The Centers for Disease Control and Prevention’s National Diabetes Statistics Report notes that 9.4 percent of the population in the United States have diabetes, which is 30.3 million people. 23.1 million people have been diagnosed with diabetes, but 7.2 million people are undiagnosed, accounting for 23.8 percent of people with diabetes. 33.9 percent of the adult population 18 years old and older in the United States have prediabetes, which is 84.1 million adults who have a pre-diagnosis to diabetes. When looking at these numbers, it is likely that you know someone who has diabetes, or that you will be or already have been diagnosed with diabetes. In Louisiana, 11.5 percent of the adult population has been diagnosed with diabetes as of 2015. Louisiana also falls within what the CDC has identified as the “Diabetes Belt,” an area of the United States made up of mostly Southern states where the population is more likely to be diagnosed with Type 2 diabetes. Another “belt” that Louisiana falls within: the “Stroke Belt,” where the risk for developing health disease and suffering from a stroke is higher than in other areas of the United States. People diagnosed with diabetes need to pay close attention to their heart health. 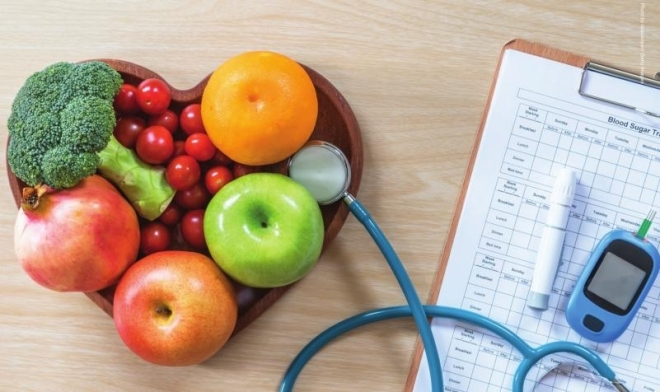 Diabetes has a close connection to heart disease because diabetics present more risk factors that contribute to heart disease, increasing the chances they will suffer a heart attack or stroke. The American Heart Association estimates that adults with diabetes are two to four times more likely to die from heart disease. Heart disease and stroke are two of the most common causes of death in people with diabetes. “Diabetes is a primary risk factor for cardiovascular disease. It can affect the different structure and functions of the heart including the coronary arteries, conduction system, valves and the heart muscle itself,” said Paari Dominic, MD, assistant professor of cardiology and assistant director for the Center for Cardiovascular Diseases and Sciences at LSU Health Shreveport. How does diabetes cause damage to your heart? “First, diabetes alters the content as well as the characteristics of lipid molecules in the body. These modified lipid molecules can more easily penetrate and form stronger attachments to the arterial wall, therefore causing more atherosclerosis. Furthermore, diabetes is considered a state of chronic, low inflammation, which can further mediate increased risk to the cardiovascular system. Finally, diabetes can cause damage to the heart muscles through multiple mechanisms including low blood flow, and activation of pathways within the cell that can cause cell death and increasing fibrosis,” explained Dr. Dominic. • Maintain a healthy blood glucose level. • Maintain a healthy blood pressure level, which is less than 120/80 for adults. • Keep your cholesterol levels in check. Total cholesterol should be less than 200. • Know your body and listen to what it needs. When managing diabetes feels overwhelming, reach out for assistance for your doctor or a loved one. • Get a flu shot every year and get vaccinated for other vaccinepreventable diseases. • Quit smoking, a healthy tip for everyone! • Schedule routine tests with your doctor. • Maintain a healthy weight and make time in your schedule to participate in moderate physical activity for 30 minutes at least five times a week.